Eight-year-old Kid genius, Billy Blaze, is in his backyard fort testing out his newly built Photachyon Transceiver. Simply put, it's an instantaneous radio that can pick up signals anywhere in the galaxy. While listening to an alien sitcom, "My Favorite Yorp", Billy hears a disturbing message: Bzzt...grdddz...oment of great triumph...ferrrt... ast the Milky Way will be..zzz...terly estroyed...buzzt...can stop us now. 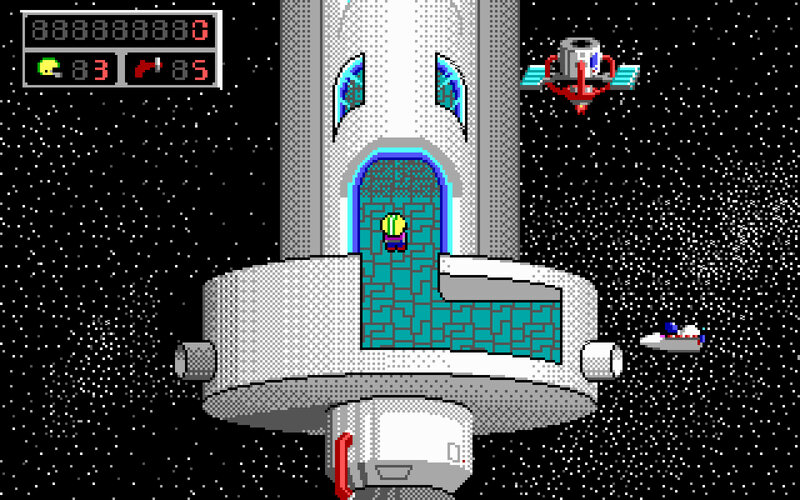 We will remake...biipp...galaxy in the name...zzzzt...of the Gannalech. Power to the race! Pow...rrp...to the Shikadi!...bizzp! "So the Shikadi are planning to destroy the galaxy, huh? ", thinks Billy. "Sounds like a job for... 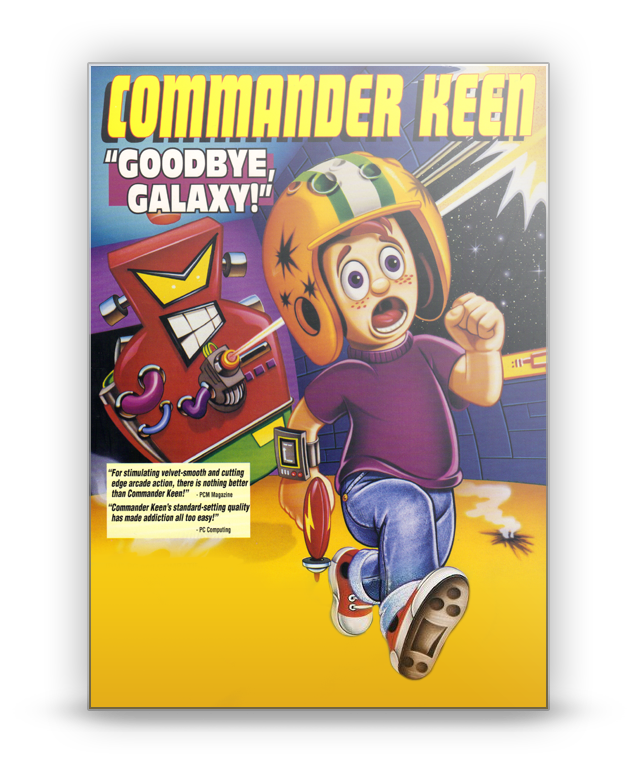 Commander Keen!" 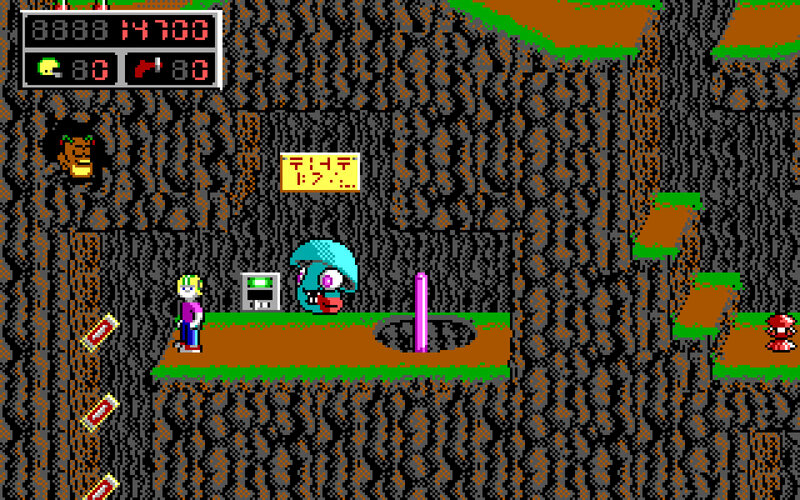 In episode one of the fourth episode of the Commander Keen series, "Secret of the Oracle", Keen rockets to an alien planet to rescue the Keepers of the Oracle, who are the only ones capable of helping Keen find out more about the Shikadi. Who are the Shikadi? And why are they planning to use our Galaxy as target practice? After completing the mission in episode one, Keen learns of the Shikadi's enormous ship, which doubles as the largest weapon ever built. 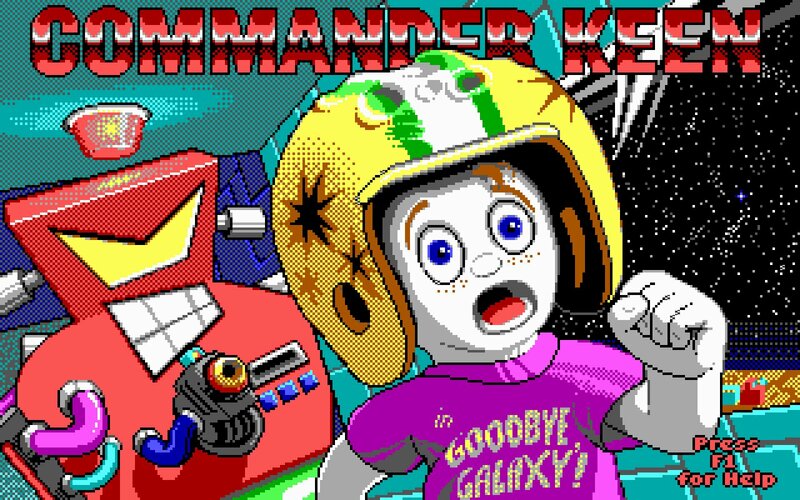 So in episode two, titled "The Armageddon Machine", Keen faces his greatest challenge yet - to save the Galaxy! 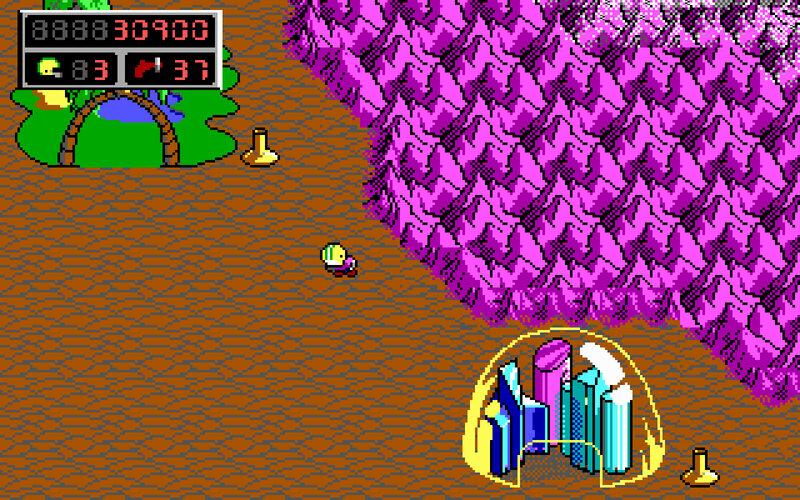 State of the Art: Incredible smooth-scrolling EGA graphics and animation, including an ending animated sequence. A New Perspective: Tilted point-of-view gives levels the appearance of depth & fullness. Keen to Kill: 14 creatures in episode one and 20 all-new creatures in episode two. 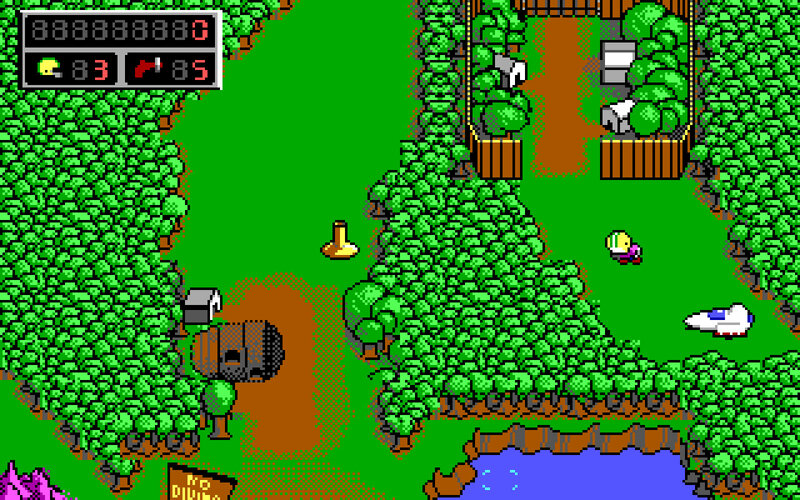 Trailblazer: Hundreds and hundreds of screens to explore, with huge levels. 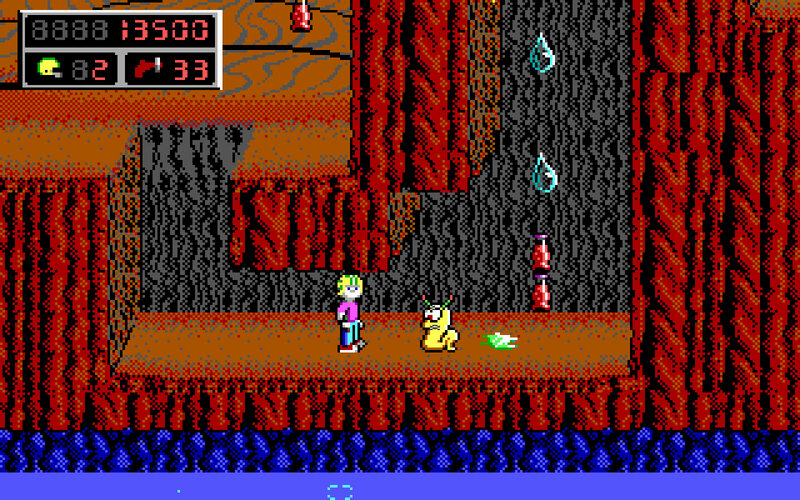 Keen and Mean: Keen has new abilities, such as hanging onto ledges and pulling himself up.